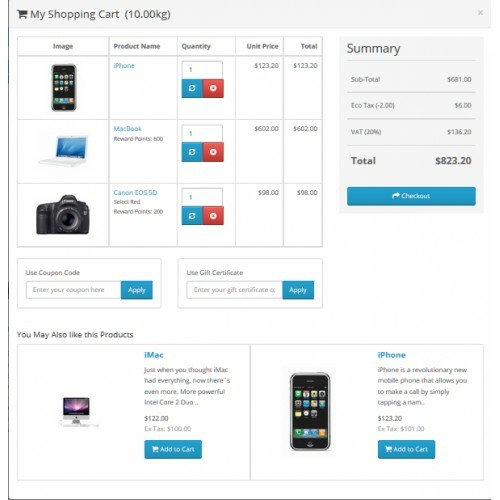 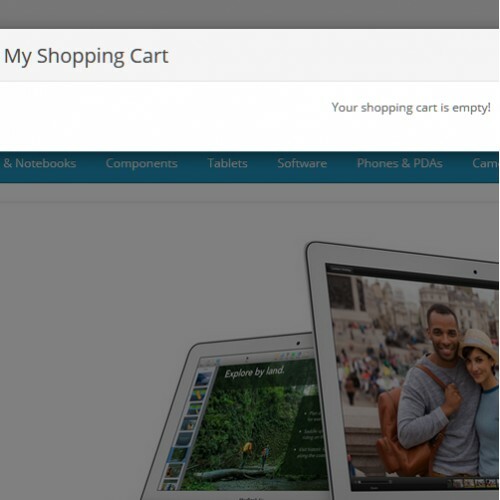 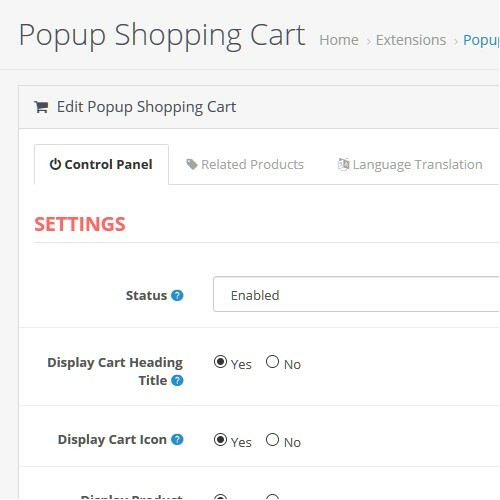 Popup shopping cart allow user to see their cart as a popup. 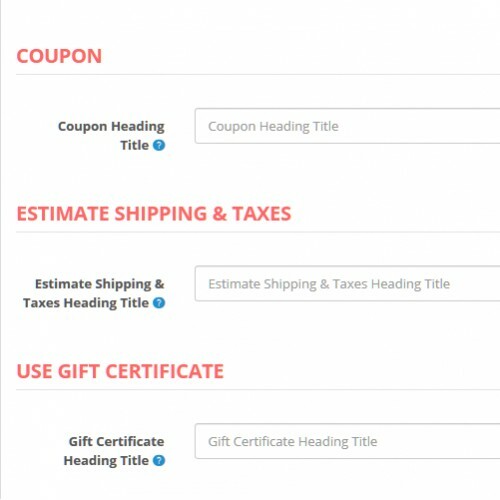 Get all details of products that are present in cart, apply coupons apply gift certificates etc. 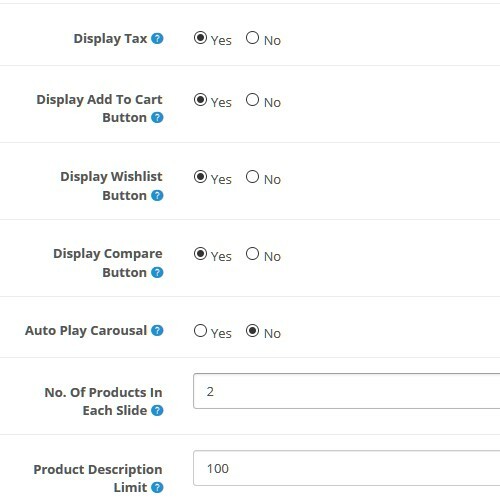 Customer can directly go to checkout page and complete there order. 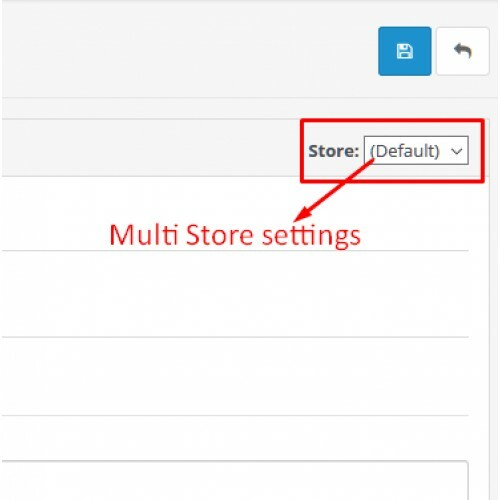 This extension is useful to all stores as it show all details like checkout at same place inside a popup. 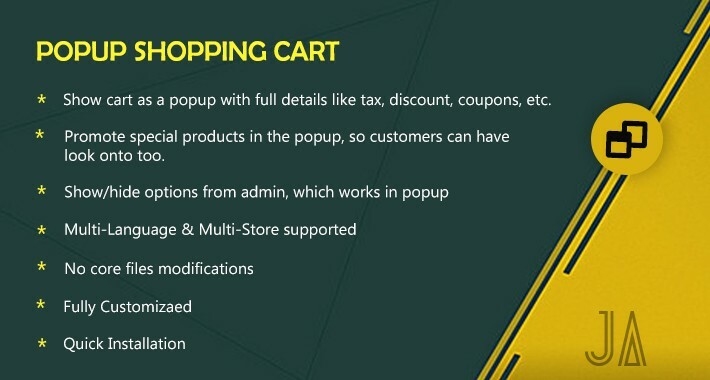 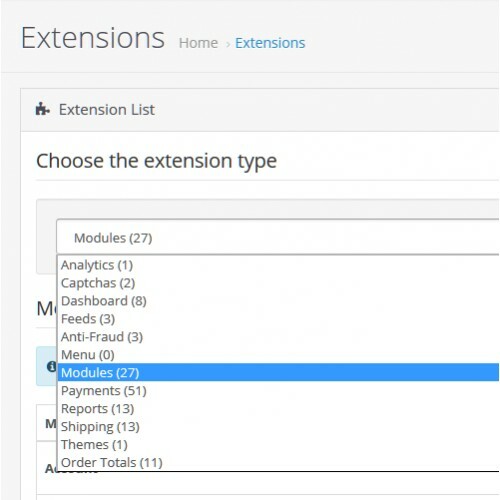 All popup is completely manageable from the admin like popup text, related products, show/hide many other features. 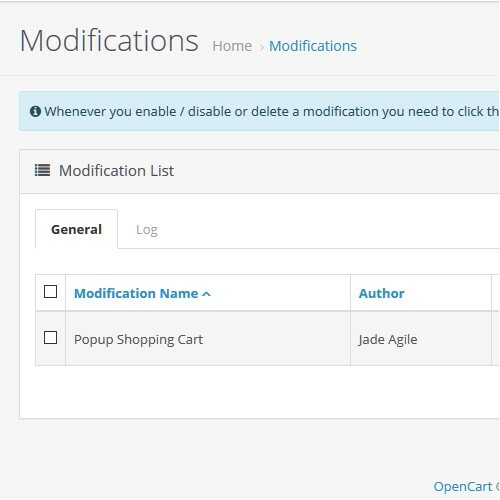 This extension is also support multi-language and multi-store system by maintaining OpenCart coding standards. 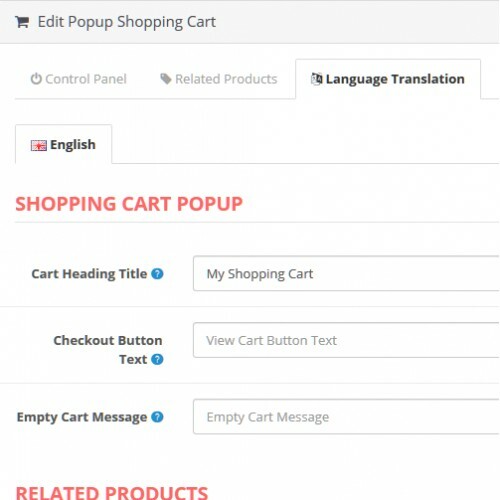 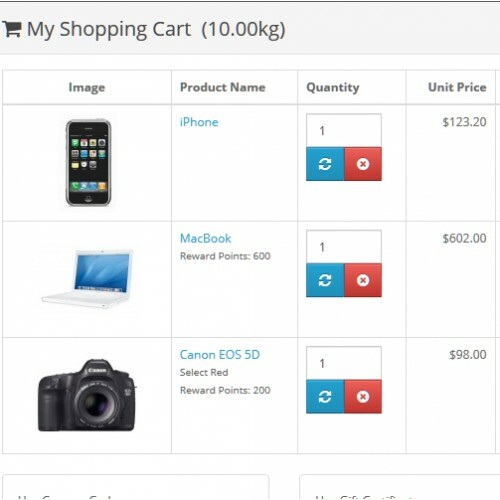 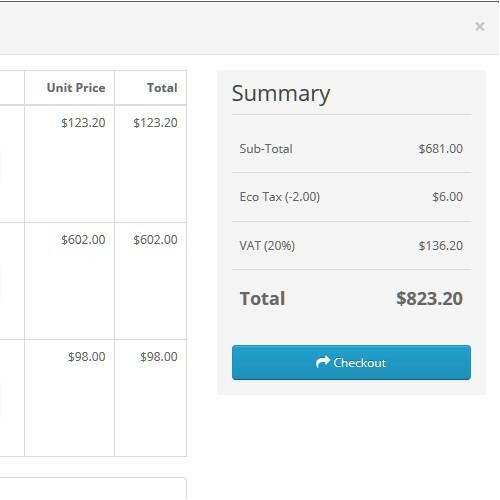 * Show cart as a popup with full details like tax, discount, coupons, etc. 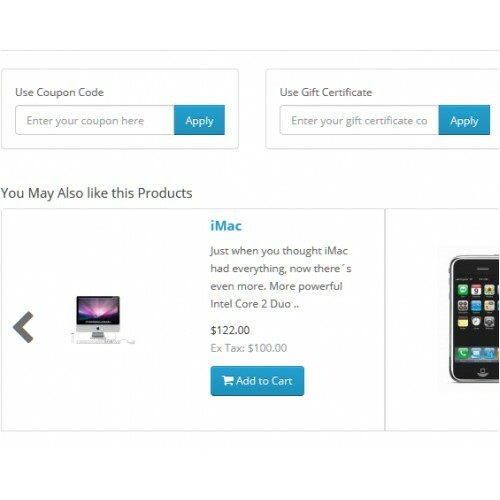 * Promote special products in the popup, so customers can have look onto too. 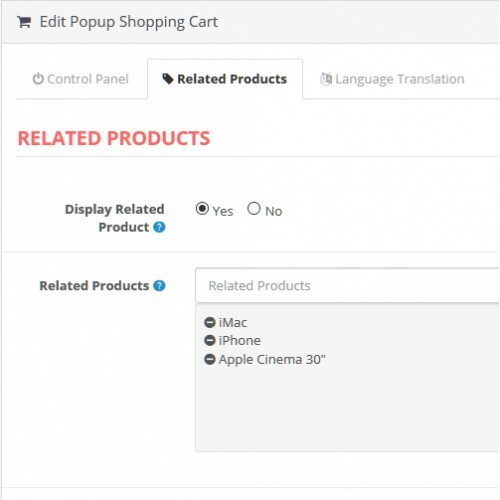 Very nice plugin and the support is even better. 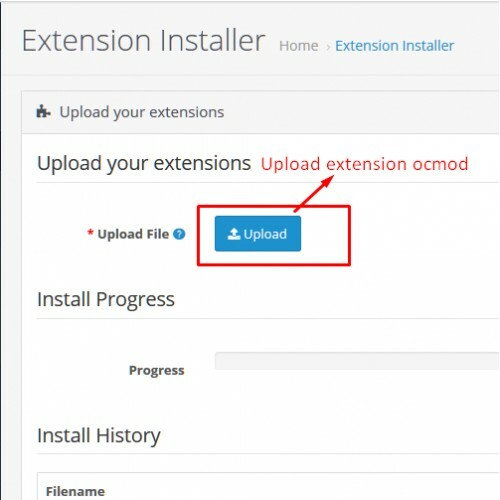 Thanks for the fast support!